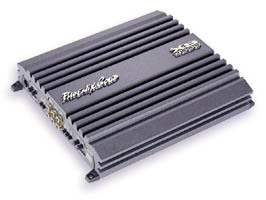 What years where the XS series amplifiers produced? Are the XS series amplifiers stable to 2 ohms bridged? Yes, but there are a couple of things you MUST consider when running an XS amp at 2 ohms bridged. The amplifier must have a steady supply of current from the car's electrical system so you'll want to run a minimum of 4 gauge power cable from front to rear. If the main cable run is longer than about 10 feet (most are), then you'll want to step up to 2 gauge. A capacitor is HIGHLY recommended for 2 ohm bridged operation. The capacitor should have at least 1 farad of capacitance. The only other consideration is heat. With more power comes more heat so you may have to have some form of cooling fan system to prevent thermal shut down. 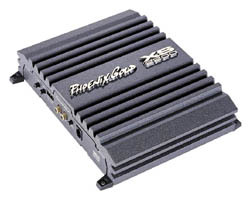 How much power does an XS series amplifier provide at 2 ohms bridged? The continuous power at 2 ohms or 1 ohm bridged remains about the same. 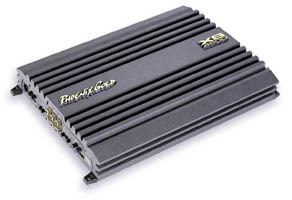 The XS series amps have a circuit that detects the amount of current leaving the speaker terminals. If the current is high enough, AND lasts long enough (longer than 50 milliseconds), the circuit limits the amount of voltage that the power supply can produce. This in turn limits the power output of the amp. So continuous power output remains about the same with the power composed of more current and less voltage. There is a bright side to all this. Remember I said that the excess current demand had to last longer than 50ms. The dynamic peaks in most music last less than 20ms. Therefore, the circuit never has a chance to affect the power supply voltage for musical peaks. All this means that the amp is allowed to make more power with musical peaks while continuous power remains about the same. You could say that the "headroom" of the amp is increased. If you have to run the amp 2 ohms bridged, you can. Just understand that you must follow the above suggestions to make sure your amplifier isn't damaged or not operating correctly. I wouldn't recommend running it 1 ohm bridged. The amp will shut down (red LED) if the output current gets too high (looks like a shorted speaker). Copyright © 1999 Phoenix Gold Corporation. All rights reserved. Last modified: Wednesday October 20, 1999.